Do we need to have everybody involved in every aspect of our quality improvement efforts? One trainer said we did... but that's not always practical. What should we do? Continuous improvement is a journey built on learning, so questions are a big part of the process from start to finish. 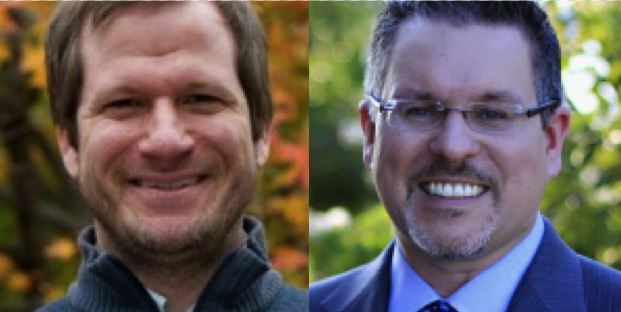 Knowing this, KaiNexus created a webinar series called Ask Us Anything, in which our CEO and Co-founder Greg Jacobson and Mark Graban, our Vice-President of Improvement & Innovation Services and founder of LeanBlog.org, come together to answer questions KaiNexus webinar listeners are asking. One long but important question that was asked by Margo in episode 11 of Ask us Anything, was about the need to have everybody involved in every aspect of quality improvement efforts. Margo wanted to know what to do when that's not practical. Graban began by explaining that absolute statements beginning with words like never and always are unhelpful. The idea that organizations must always have everybody in the room might be ideal, but in situations like healthcare settings, where patients must be cared for and therefore staff can’t all leave the floor at once to work on an improvement, it’s just impractical to hold to absolutes. Graban said he has seen teams be very effective pulling some people away from the floor to work on something for an hour, or for a week, while getting input from as many other people on the team, who are still on the floor, as possible. “You can get input, you can get feedback, you can have people be involved in different ways other than being 100% dedicated to the improvement. I think sometimes you can be, and you have to be, creative with different types of improvement,” Graban said. Jacobson pointed out he has never read or heard Lean leaders say in their conversations with him that that an organization is only performing Lean if everyone is participating in person. Explaining that we live in a world that is very connected in an asynchronous (not existing or happening at the same time) way, and that larger organization are complex and often geographically distributed Jacobson said that it is completely impractical to bring everybody in the room at the same time. Using his favorite basketball team, the San Antonio Spurs, as an example Jacobson illustrated how plans and systems can be implemented, not by big team meetings with the coach, but in several small interactions between people on the floor (or court). Instead of thinking about improvement as very rigid thing, where people must physically be present, that organizations should think of participation as a much more fluid concept where even the most junior people can contribute, and everyone at every level of the organizations is helping everybody coach the team. Jacobson said that this is where a real shift in culture toward continuous improvement occurs. Effective Cost Control and Reduction Mechanisms? Graban wanted to field this question because he strongly believes that Lean and Kaizen are very different than traditional cost cutting methods. Graban explained that asking employees for their ideas for improvement, not just around cost reduction but about making their work easier, and providing better service, can lead to better cost reduction without impacting quality. Graban added that staff will often have ideas for increasing revenue, which is a better way of addressing underlying financial difficulties in an organization. Jacobson agreed, finding time and time again that organizations employing a Lean management system that have developed really good continuous improvement cultures end up finding that in the process of implementing Lean they not only increase the quality of whatever they’re producing, but they also end up decreasing the cost. At the start of the continuous improvement process, simply asking employees what frustrates them and not leading asking them to save money, leads to a very high percentage of very high impact ideas. “We’ve studied everything in our system and we know that approximately 1.5% of all ideas are worth more than $10,000, and about 0.5% are worth even more than $100,000. So I think that’s a really good approach and really good advice to learn from how other people have started their continuous improvement efforts. And it’s great knowledge that you’re going to start seeing ROI almost unintentionally, right from the beginning,” Jacobson said. “It’s counter intuitive, you often get more cost reduction by not focusing primarily on cost reduction,” Graban said, mentioning the book Obliquity: Why Our Goals Are Best Achieved Indirectly by John Kay, where he talks about how powerful the indirect approach to goals can be for organizations. You can watch John Kay’s TED Talk on the concept of Obliquity on YouTube for more information. With that said, there can be times when an organization can and should press for cost reductions, but the culture of improvement should be established first. “Once you have that culture I think you can lean and push people in different directions that would probably not give you the intended outcome at the beginning if you did it that early on,” Jacobson said.